Corporation, one of the leading equipment producers in the Industry. Manlift design and engineering is backed by Chamberlain's Research and Development Division. Manlift service is far-reaching. Dealers, parts, ware- houses, and factory-trained service people blanket this country and the major nations of the world for the best and most readily available service. 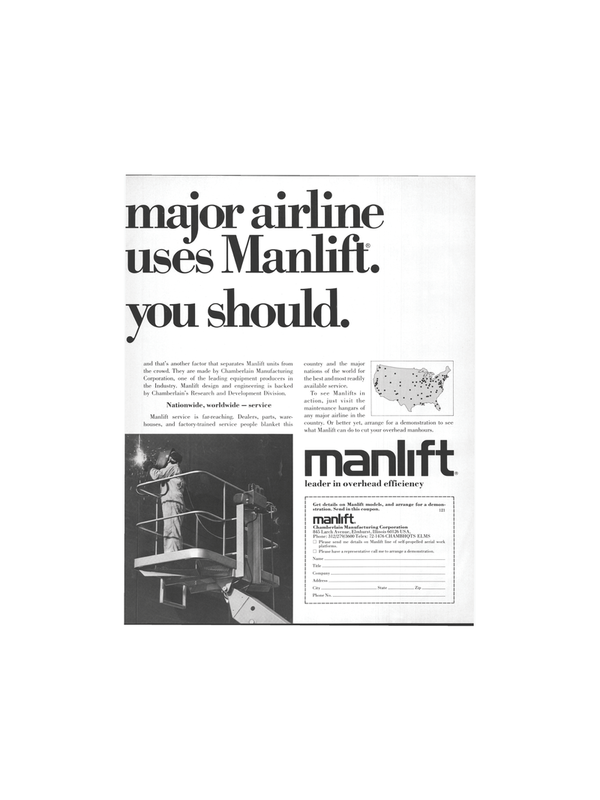 Get details on Manlift models, and arrange for a demon- stration. Send in this coupon. 121 manlift. Phone: 312/279/3600 Telex: 72-1476 CHAMBHQTS ELMS • Please send me details on Manlift line of self-propelled aerial work platforms. • Please have a representative call me to arrange a demonstration.